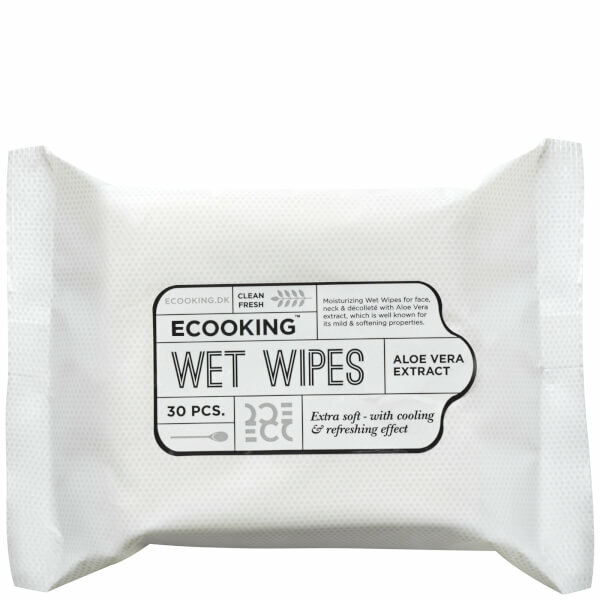 Gently cleanse and moisturise your complexion with the Wet Wipes from Danish skincare brand, Ecooking. Suitable for use on the face and neck, the ultra-soft wipes effectively eliminate dirt and impurities, without stripping moisture. Aloe Vera Extract soothes and refreshes to leave skin feeling clean and hydrated after use. 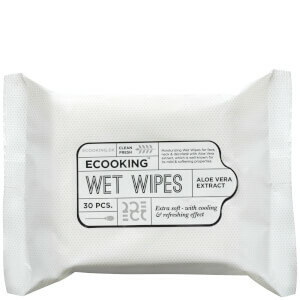 Can also be used on dirty hands. Use on the face or hands. Aqua, Aloe Barbadensis Leaf Juice, Potassium Sorbate, potassium Benzoate, Trisodium EDTA, Citric Acid, Parfum.